Last Saturday Buckingham suffered a disappointing loss at home to Clifton Robinsons. Buckingham started with great tempo and intent but missed a guilt edged chance after just three minutes, following some good work down the right hand side from Phoebe Richards. The home side created another couple of chances in the opening ten minutes but unfortunately, were unable to capitalise,. The visitors were also playing well, they remained a threat on counter and were nearly ahead when their first real chance came after thirteen minutes. The remainder of the half was hotly contested but it was not until the twenty-seventh minute that Buckingham earned the first penalty corner of the game. Buckingham failed to execute their planned routine and nearly conceded from the resulting fast break. Despite the 0-0 scoreline, it had been a open and entertaining first half, with a few half chances for both sides. Unusually, Buckingham started the second half poorly, conceding a penalty corner in the opening minute but fortunately Clifton could not convert. Buckingham recovered their composure and Tash James was just millimetres away from opening the scoring after five minutes, following an excellent cross from player of the Match Frankie Scott. But it was the visitors who took the lead after forty-five minutes, eventually converting from a series of penalty corners. Buckingham responded immediately and earned their second penalty corner of the game but once again they failed to execute their routine and the home side wasted another great opportunity with fifty-three minutes gone. However, they were on level terms just eight minutes later. This time a perfectly executed penalty corner routine saw James deflect the ball high into the net. However, with just three minutes remaining a contentious penalty corner decision presented the visitors with an opportunity and they took full advantage to take a 2-1 lead. Buckingham applied constant pressure in the final few minutes. First Zoe Shipperley had a fierce back hand shot well saved before Maddy Newlyn put the rebound just wide and Richards had her shot blocked as the visitors held on for the win. "It was obviously a disappointing result. In some aspects we were very good. We played with real tempo and passed ball well for the most part but our failure to secure the ball higher up the pitch, a lack of accuracy in the D and execution at penalty corners proved the difference between the two sides. Whilst it is a set-back, I am confident we will learn from the experience and fortunately many of the other results fell our way so we remain in the top four. 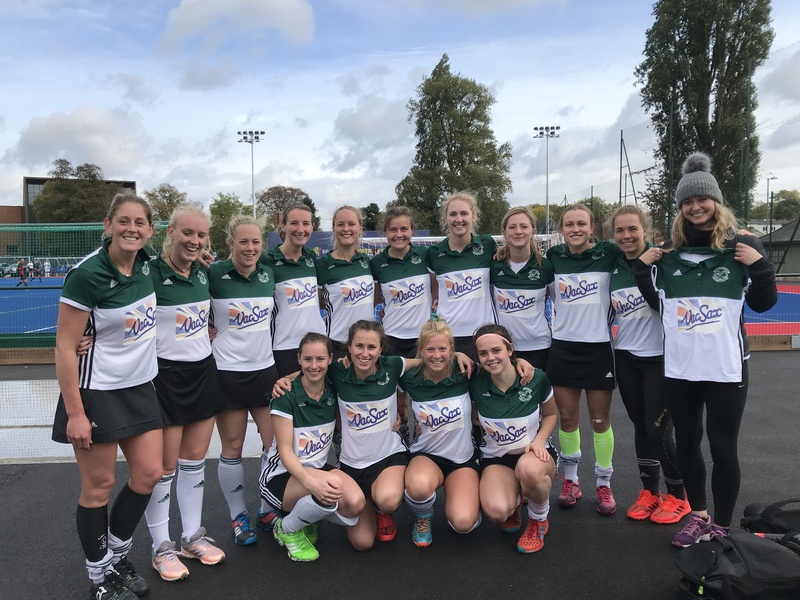 This week we have a really tough away fixture in Manchester against Bowdon Hightown where we will be looking for one big final effort before we go into the Christmas break."